All done with standard GLB commands. 1st Fake plasma Cube: FC used palette rotation , not sure how to do that so I did it my way. 2nd Overlapping/bending circles: takes 10 seconds to render.tried this with a rotating palette but it looked bad. Very Interesting the cube with animated maps!!! I guess 99% of you worked out how this was done.I recall someone asking about this ages ago.so this was my take with animation. not sure how easy this is if you built the cube from Code and tried to map it, maybe someone with more experience could shed some light? 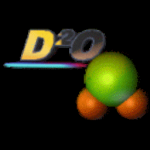 Side note: when texturing a 3D object in GLBasic, you generally should stick with textures with the power of two, e.g. 512x512.